Working from home is becoming more and more attractive to people wanting to take advantage of the internet and modern technology. Hence avoiding the daily commute and being able to spend more time with their families. But with the increase in demand for work at home jobs or businesses, the number of work from home scams has also increased. I have read that the ratio of scams to genuine jobs is 42 to 1. This article is about work from home job scams and home based business scams. Hopefully, after reading this article you won’t get caught by the scammers! Why do the work from home scams continue? During difficult economic conditions such as we have today, with high unemployment and uncertainty about the world economic situation, people try to find online jobs or think of creating an online business to support their families or secure their financial futures. 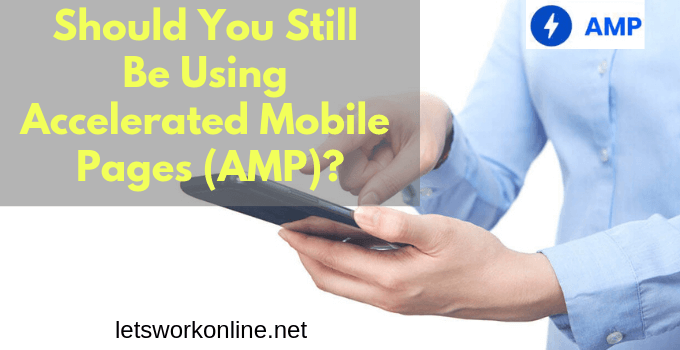 You have probably seen sites advertising work from home jobs or you might have received an email promoting the benefits of working online. Of course, the thing that probably caught your attention was the fact that you can earn a lot of money and perhaps even become rich. At least, that’s what they would have us believe. Human nature being as it is, we would all like these claims to be true, we may start dreaming of what we would do with the money. By making these promises the scammers always find people ready to join their schemes, maybe out of curiosity or perhaps out of greed or desperation. The bad news is as long as there are people that are ready to pay, there will always be scams. Work at home scams have existed for many years, long before the internet. However, with the internet now in most homes, the scams are now accessible to a much wider audience. The scam artists are thriving! You must always be on your guard and remember if it sounds too good to be true it usually is! The internet scammers may not really target any specific group, with the programs promoted online we are all at risk. That said, some who fall victim to online scams are likely to be desperate people, they may be particularly sensitive to the promise of easy money. Also the sick, stay at home moms or dads because they want to find a way to earn money from their own home. The seniors may be targeted more than other groups because they may be more trusting, they don’t understand modern technology and most importantly they have more money. With many programs asking for your telephone number you may receive a call from a high-pressure salesman. These calls are particularly dangerous, they will try to get your money quickly. Legitimate businesses will give you time and full information before expecting you to purchase. If you want to avoid these calls register your number on the National Do Not Call Registry. Telemarketers should not call your number once it has been on the registry for 31 days if they do you can file a complaint. Never pay to work. Recruiters may be paid by companies to find workers, but you shouldn’t have to pay. Most of the sites that offer job leads for a fee, normally supply you with a list of jobs you can find for yourself for free. You may need some very basic equipment like a telephone and a computer, this is normal. However, you shouldn’t have to pay for materials to assemble goods. Research the company using the search engines. To see if there are any complaints or unanswered disputes. If you find complaints or negative reviews steer clear. Just because there are no complaints doesn’t mean that a program is legitimate. The dishonest companies often change their name, or come and go very rapidly, so the fact there are no complaints may mean they have only just appeared. You will need to look for other signs of fraud. Is the owner a real person? Programs with nothing to hide will state who is their owner. Fraudulent programs will use a false name, there are several names that seem to be used very often. If you think it might be a false name avoid the program. Prefer PayPal or your credit card to makes purchases. If you pay for a work from home scam with these methods you have more chance to recuperate your money if you dispute the charges. Never have anything to do with wiring money. No legitimate job will involve wire transfers. Take care that there is a good description of the work. When there are only promises of earning fantastic amounts of money and no description of what you will really have to do, this means they are hiding something. Consider if someone would really pay the amount offered for a certain task. You will often see work for posting links, stuffing envelopes or carrying out surveys for exorbitant amounts of money. Obviously, this isn’t possible, companies won’t pay these ridiculous amounts. Take your time. Don’t be pressured into taking an immediate decision. Pressure tactics are very often used by online scams. Legitimate companies let you take your time. Look for logos or endorsements, from Better Business Bureau, truste.org or Chamber of Commerce. Check that they have contact information. They should have an email address, a physical address and perhaps a phone number. It can be a good idea to phone or send them an email to see what sort of reply you get. The problem with this is that some companies reply quickly before you are a member, but once you’ve joined and paid your fee they couldn’t care less. Avoid anything that promises financial success or will help you to make money fast with little or no work. 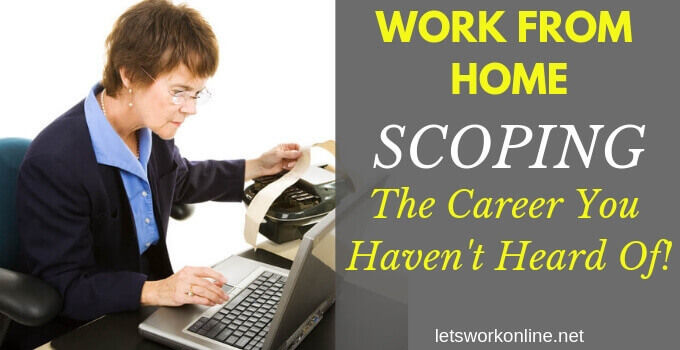 Learn what sort of work companies need people to do from home. For example: do companies need people to stuff envelopes? No! Do companies need translators? Yes, maybe! Money back guarantees may not be what they seem. Although many online programs offer a money back guarantee, always read the small print and check online for complaints. The scammers make many promises but often don’t deliver. Don’t be taken in by the testimonials. These are often false and use stock photos. Beware of unsolicited emails. Many programs will send emails promoting other scams, the best approach is to eliminate these emails. Don’t give out your personal information. Some unscrupulous companies will ask you for your social security number or a copy of your driving license, this could be used for identity theft. Only give your credit card number or the number of your bank account if you’re actually buying something. Always make sure you know who you are really giving this information to. Discuss any opportunities you are thinking of joining with friends and family. It’s always good to get some advice from a neutral party. Don’t get discouraged it may take some time to find something you are happy with. This video from the Federal Trade Commission goes through some of the signs that a program might be a scam. There are so many scams promising you thousands of dollars per week for things that sound easy and may even be enjoyable such as testing online games, posting links, taking surveys, selling photos or doing translations. You pay a membership fee basically to receive information you can find for yourself online for free. Then you will find that none of these jobs are as easy as promised or the job opportunities don’t really exist. When searching for online jobs you may come across data entry jobs offering great pay for simple data entry work. Although there are legitimate jobs doing data entry you will often have to take evaluations and if it’s for medical billing your may need some sort of certification. You are not told these details. 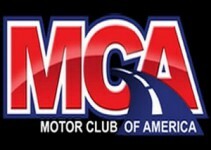 Most of these programs will require that you pay a fee to join. You may then be given some elementary information about what is involved and a list of possible jobs. You can find all this information yourself for free. There is another scam involving data entry where the employer tells you, you need a certain software that is only available from through them for a few hundred dollars. Although this isn’t a work from home scam, people still get caught out so it’s worth mentioning. Often originating in West Africa, notably Nigeria or the Ivory Coast, these scams offer you a cut in a large sum of money that someone wants to get out of the country. Many people still fall for these stories and are willing to send money to cover expenses like “legal fees”, to help the scammers complete the transaction that will never take place. You are promised good returns on your investment, but basically, they keep your money. As new people come into the scheme, you might see some return on your money but this is only sshort-lived these schemes aren’t sustainable. The best known Ponzi scheme in recent years was run by Bernie Madoff. You may see adverts for work at home jobs for package processing. You receive packages and mail them on to another address. The problem is the goods contained in the packages have been bought with stolen credit cards. So you are handling illegally obtained goods! You risk getting hit twice with this scam, firstly you will probably never be paid for forwarding the goods and secondly you risk having the police calling, wanting to know why you have received stolen goods. You may find Mystery Shopping jobs advertised. 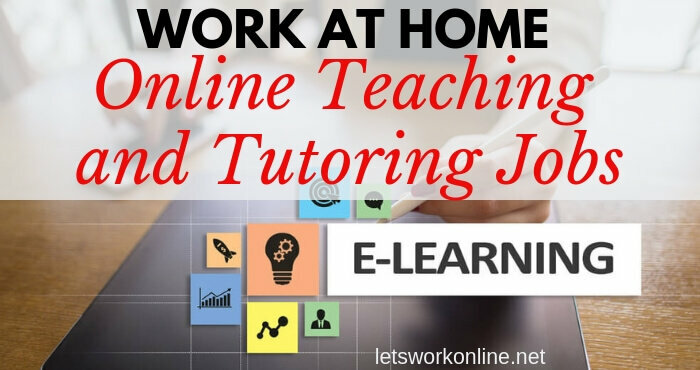 When you visit the websites connected with the adverts you may find to qualify for the work you have to take some form of training course or have access to a job directory that will guarantee you a job. Of course to obtain all this information you have to pay. Mystery shopping jobs and information about what is required are available for free. Another type of mystery shopper scam – you are paid by a postal money order or a check that is more than you have earned. You are told to keep your earnings and wire the difference back to your employer. The problem is the money order or check is false, you may be liable to reimburse the full amount to your bank. A scam that’s been around since the 1920s and has adapted to the internet. You may see an advert for stuffing 1000 envelopes a week at $1 or $2 per envelope. You apply for the job and pay a fee. In return, you receive the copy of the flier you saw originally. The way you earn money is to enroll other people into the scam and you stuff envelopes sending out the flier to the unsuspecting victims. The same sort of scam exists using email, you pay a fee to receive information about an online job and then you are shown how to send out the same advert that you replied to. You send out the advert by email in the hope of convincing others to join. These jobs offer to pay you for assembling products in your own home. There are some legitimate companies that do pay their workers, but also many scams. You have to buy the materials through the company and you do the work. Then you send the finished product back to the company to be paid. So far so good. The problem is that the company never pays you, they will say your work isn’t up to standard, no matter how well it’s been done. A crafty way for them to sell supplies you don’t need. Another take on the assembly scam is that you have to buy high-quality equipment (sewing machines or other) from the craft company. You are told the equipment will quickly pay for itself, with the work you do. However, when they have received the money for the machines the craft company just disappears. Cash gifting is the act of giving someone a cash gift and is perfectly legal if you do it without coercion and you expect nothing in return. In the cash gifting schemes, you have to pay to join, the form of payment is a gift to one of the members. These programs are pyramid schemes, therefore illegal, and are only based on the number of people recruited. When the schemes attract no new members they will collapse. You may receive an email saying a job offer awaits you and you follow a link to a website for more information. There you must fill in your personal details and then see if the job is still available. Normally the job is still available but there are only a couple of places left so you must act quickly. You will be asked more personal questions and also, you will have to give your credit card data. At this point, you will probably wonder why they need your credit card. The answer is for a training course. At the end of the day, you will have spent perhaps $100 or more on a training course that doesn’t exist, there is no job, you may be a victim of future credit card fraud and you could also be a victim of identity theft. In today’s digital age taking an interview online may not seem so strange. If in addition, the job is with a real company with a familiar name you will probably think this is completely normal. This is what the scammers are counting on. They use the names of real companies to get your confidence. During the interview you will be asked for your social security number and bank account number, which you will probably give as you think it’s the normal procedure for the job interview. Once the scammers have this information they will empty your bank account, steal your identity and maybe even try scamming your family and friends using the information you have given. These are just some of the job scams that are known or have been used in the past. There are new ones appearing all the time so be on your guard. If you think something maybe a scam it probably is. If you’ve been scammed I think it’s important to tell others. It may be embarrassing to admit you’ve been scammed, but by doing so you will let others know, which will give the scammers less chance to defraud more people. Should you have given the scammer your bank account data, credit card or other financial details, notify your bank and card company immediately. Close any bank account that was compromised and change your passwords, call your credit card company using the number on the back of your card and they will put a hold on your account. The Federal Trade Commission (FTC) – The FTC is there to protect consumers and tries to stop fraud and deceptive schemes. The FTC is for US consumers, you can file a complaint online. Unfortunately reporting a scam will not guarantee your problem will be solved, but the FTC and other agencies may investigate your claims and take action when needed. International scams can be reported at econsumer.gov. Consumer protection agencies from 36 countries contribute to econsumer.gov, the site is currently available in 8 languages and allows cross-border complaints. The site is hosted by the U.S. Federal Trade Commission. Your state Attorney General – The Attorney General’s office tracks unfair or deceptive business practices and may offer assistance. The Consumer Protection Offices for your state. The Internet Crime Complaint Center (IC3) – If you or the company who is responsible for the fraud is situated in the US you can file a complaint with IC3. The Complaint Center doesn’t investigate the complaint themselves, after being reviewed the information is transmitted to the federal, state, local, or international law enforcement or regulatory agencies. The Better Business Bureau (BBB) – You can submit a complaint to the BBB and everything you submit will be forwarded to the company. You will be notified of the business’s reply. You may possibly get your money back, but this is worth doing as your complaint will be seen by others. Also, if you see something that you think is a scam you can also contact the BBB, it might save others from becoming victims. The Ripoff Report – Filing a complaint with the Ripoff Report website may help you solve your grievance, but even if it doesn’t it may well help others who may find your complaint in the search engines. Additionally, the Ripoff Report is also contacted by the: Attorney Generals, US Postal Inspectors, Justice Department, FTC and many other government agencies from around the world. So your information may help in taking action against the wrongdoers. There are a few others sites you can leave your complaint or reviews on, for example, pissedconsumer.com, scamwarners.com, scambook.com or complaintsboard.com. These sites may not help you to get your money back, but it might make you feel a little better and may help others to avoid the same scam. So’ it’s worth doing! These are mostly for the USA but different countries have their own bodies for tracking, investigating and taking action to prevent fraud. Why do you still find well-known scams online? This is something that many, including me, find very annoying. Certain scams that have been going on for years and are still going on as if nobody cared that they are ripping off people. One of the problems may be that the victims are too ashamed or embarrassed to admit they have been the victim of a scam. Action Fraud the UK Government’s body for dealing with fraud only passes details on to the police if the fraud was committed by a network. An accountancy firm with a special fraud department says the costs involved in investigating fraud means it’s not worth doing unless the fraud is, at least, £100,000 ($140,000). So, it looks like the government agencies will only protect us when there are numerous cases of fraud involving the same company. Perhaps this is normal, but in the meantime, we must give people the information to protect themselves. This is why it’s important to signal a scam, it will help others when they are doing their research. Although you can’t count on seeing your money again, the cumulative action of many people reporting these scams may lead to the authorities concerned taking action. Always try to report the scams you have been involved with even if it’s hard to admit, it will benefit others. Yes, there are legitimate online jobs or it is possible to start your own business. I have found a few programs that take you through the process of setting up your own business step by step. 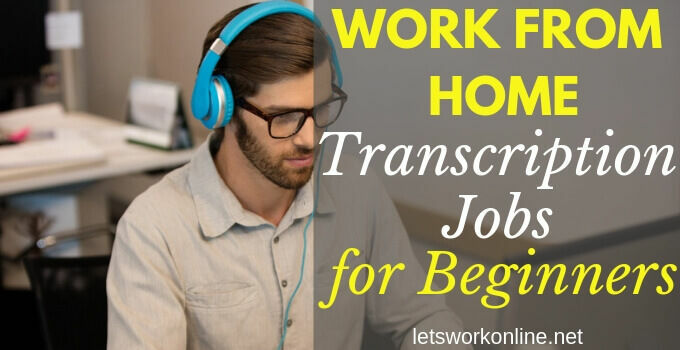 There are some other work from home jobs that are legitimate but often the pay is so little I don’t recommend wasting your time, this could be taking surveys or clicking ads. There are yet others that may require some experience or qualifications such as translators or web designer. 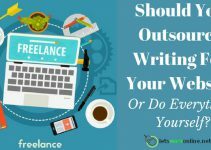 You may be able to find a job as a virtual assistant or a freelance writer. Finding a legitimate online job shouldn’t cost you anything and if you start your own home business it may be challenging but doesn’t need to cost much. The scammers spend a lot of time inventing systems to cheat people out of their money. They know that by appealing to human nature and promising a lot of money with little work, they will always attract new victims. When someone is desperate to find a job or earn money, they will be more likely to throw caution to the wind and may believe something that is obviously too good to be true. Before investing your money or giving any personal data take your time to research, research and research some more. It’s definitely worth your time doing your homework on a company. If you’re unlucky enough to fall victim to an online scam you may lose more than your time and money. You could have your identity stolen and have your credit rating ruined. Reporting any scam you have been part of is a good idea, this may help others and if there are enough complaints the authorities might take action. There are legitimate ways to earn money online but these take hard work and time. Always be cautious and at no time consider anything that seems too good to be true. If you have been scammed or know of other scams, tell us about it below. Your experience could help others avoid the same scam. Wow Peter, this is the most complete resource I’ve ever seen on work from home scams. You’ve put together some incredible lists on ways to avoid online scams as awesome suggestions on what to do if you do get scammed. Not only are there a ton of online scams out there, but there are tons of gurus who all have the magical system or program that it makes it tough for those that want to work from home find legitimate home based businesses. Time and time again, work from home jobs prove to show little income for tedious work. For those that really want to make legit home based businesses, I’m a big fan of creating niche websites and then apply affiliate marketing, email marketing and advertising. This is the most authentic home based business that only requires a proper online education to learn to manage a website and rank content to bring in the sales. It’s worked for me and thousands of other online entrepreneurs, bloggers, and eCommerce business people. Great post, really complete, nice work! Thanks for your compliments Todd. You’re right finding a genuine online business amongst all the scams is pretty hard. Then, the vast majority of “legitmate” work from home jobs to be found pay so little, I think they’re a waste of time. Your idea of creating an online business with niche sites and affiliate marketing is my preferred business model. I think it should be said that this isn’t like the get rich quick schemes or the programs where you can start earning money right away, building your own affiliate marketing business will take time and hard work. You will have to work probably for several months before you will earn anything but there is a great potential. Many people seems to give up after a few weeks, you must keep working on your business, if you don’t give up you will succeed! This is a very comprehensive list of work from home scams you can avoid. I was almost scammed by the pyramid scheme when a friend wanted to sell me some E-books. He spent only 5 minutes talking about the E-books but spent the next hour talking about the compensation plan and recruitment! Thanks for this insightful article and I will share it with my friends so that it could reach out to more people and educate the vulnerable. That sounds like a typical pyramid scheme, having a low quality product that they use to hide their pyramid structure. I don’t think it’s a good idea to join any scheme that pays you principally to attract new members. Thanks for sharing the more who are aware of the many scams around the better and it’s even more important that they know what to look out for to avoid these scams. I myself have invested my time and money into a few “online investment” companies, unfortunately I wasn’t as well educated as I am now and i did loose 10k a couple of years back from an email scheme that i became aware of through social media. Shame i didn’t know all the things to look out for back then. Its very important to do your own due diligence before you consider getting involved with any company, scheme or person online. Like you said when something seems too good to be true it usually is. Keep up the great work. Thanks, Julian. Sorry to hear about your heavy losses. 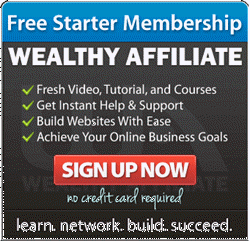 When you start online you don’t realize that most programs that promise you ways of earning money online are scams. After a while, you get used to the scams and you know what to look for. But probably not before you have been scammed a few times, like yourself. As you say everyone should do their research before investing any money online. Perhaps people are beginning to becoming aware of this, at least, I hope so! The number of scams out there is amazing and we’re all in danger of getting caught. It’s true the desperate are perhaps the most at risk but anyone can fall victim as we may join just to see if what they promise is true, although in our hearts we know that it isn’t possible. I know as long as there are people ready to join these programs it will be hard to beat the scammers, however, I did read some encouraging information the other day that suggested there were fewer seniors getting scammed now than a few years ago. So maybe we’re moving in the right direction! I have a question. Even if I am not a computer pro do you think i will succeed? Pleased you found the post useful Christina. Working from your own home is a great way to earn a living. While I would say it’s enjoyable, it is a lot of work but you’re right to give it a try. These days you don’t need to be a computer expert to build your own website, you can do it without knowing any code at all. 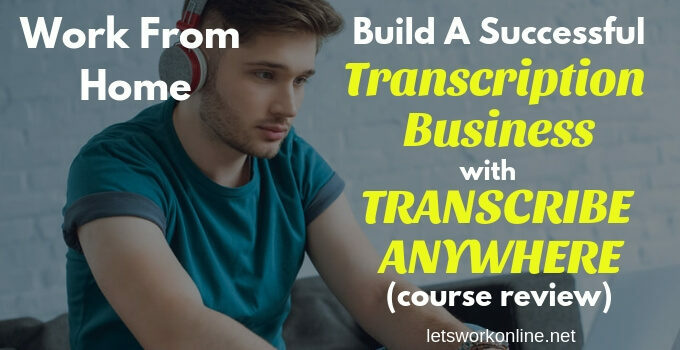 The best way to start is to join an online training program where you are shown how to build your own legitimate business with easy to follow lessons. If you work hard, are determined and patient you will succeed. I don’t know if Cristina will see your question but I will try and give you an answer. 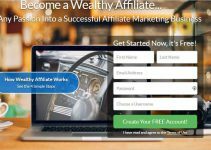 I recommend affiliate marketing as a way of earning money online and the program I recommend to get some thorough step by step training is Wealthy Affiliate, this link will take you to my review This isn’t some get rich quick scheme but something that takes time and a lot of work. If you do give it a try you can get started with a free trial, you don’t even need your credit card. Later on, you may want to upgrade to a premium membership which is recommended to get the full training or you can stay as a free member for as long as you like. As I said to Cristina, these days you don’t need to be a computer expert and you don’t need to know any code. The most important ingredient is to put in the work which is mainly writing articles or reviews. The training takes you through the whole process in lessons that you can follow at your own speed. Hope that helps Deborah and getting an online education will help you stay clear of the scams. If I can be of any further help please let me know.